Emily is an experienced Project and Innovation Manager in higher education and research funding. Following BSc and PhD research in biological sciences and molecular biology, Emily has worked in a variety of roles within UK Universities and for Research Councils in roles relating to commercialisation of University funded research and impact. Emily has strong experience in commercialisation and project management in research areas including Environmental science and Biotechnology, Climate Science and Mathematics, and Data Science. In 2009, Emily gained an MBA from Henley Business School. Emily was awarded her PhD in Plant Biotechnology 2002, and since then has pursued a career in Knowledge Exchange of research in Universities and Research Centres. Emily worked in commercialisation and other Knowledge Exchange roles at the BBSRC, University of Warwick and NERC before joining the University of Exeter 2012. 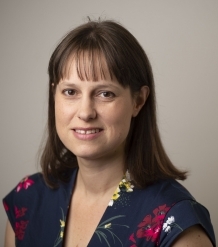 Emily has worked within the University as Project Manager for an EPSRC network project and in her current role as Project Manager for the Institute of Coding.